Preheat the oven to 180C/350F/Gas 4. Place a piece of aluminium foil over the base of the springform tin. The springform ring is then placed over the foil and secured onto the base, sandwiching the aluminium foil. Melt the chocolate, butter and sugar in a bowl suspended over a pan of hot water, then add the liqueur. In the separate bowl whisk the eggs until frothy. Very gently stir the eggs into the chocolate mixture . Pour the batter into the prepared tin, wrap the bottom and sides with two layers of foil. This is to prevent water from the water bath leaking into the cake. Place the prepared springform tin onto a larger baking tray/tin and place it into the oven. Pour the hot water onto the baking tray up to one-third the height of the springform tin. This is what is known as baking using a water bath. 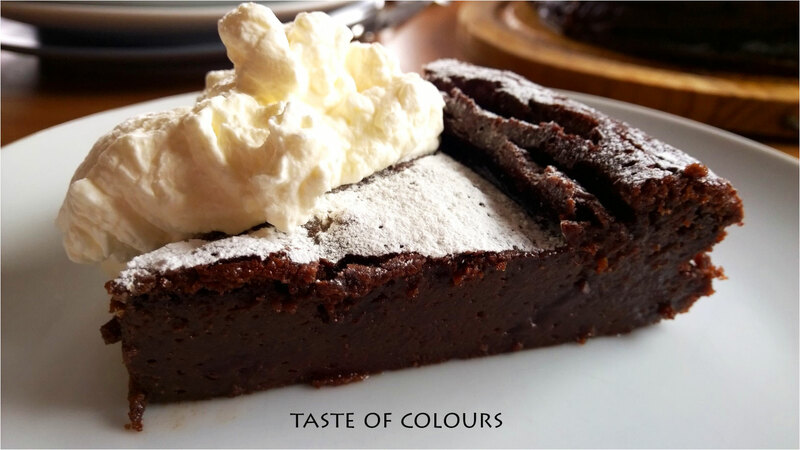 There is very little nicer than a rich chocolate tort with a dollop of cream! My mouth is watering just reading the recipe and sadly I don’t have an oven to make it so I’ll just have to dream……!!! This looks like heaven… loving the idea of the orange, too! This looks freaking amazing. I have nominated you for the Very Inspiring Blogger Award: feel free to take part of not, as you like 🙂 but either way it’s a great way to let you know that I very much enjoy your blog. I am reblogging this beautiful dessert for two reasons. I love sweets. And I shouldn’t have them. We have to do what works for us. Other people can eat sweets in moderation. I am better off avoiding. So please enjoy it for me. Oh my! Now this is just way to good! Oh wow, this looks so incredible. 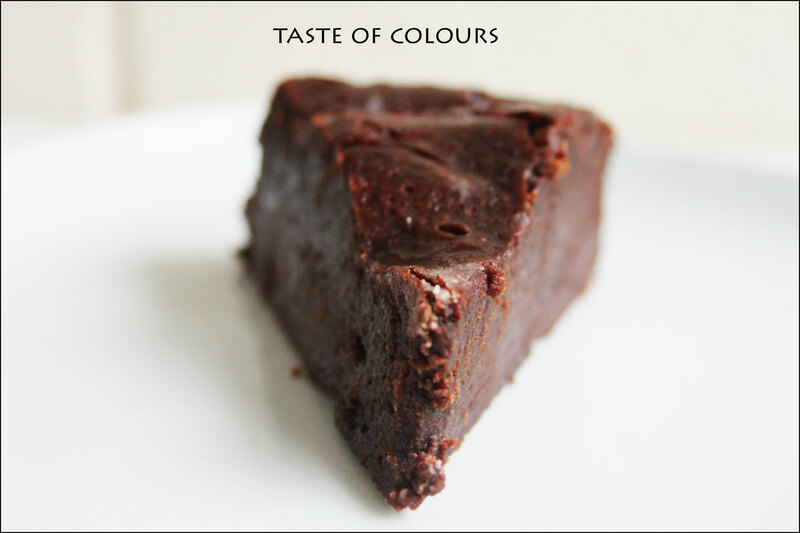 There is nothing better than dark chocolate and orange.